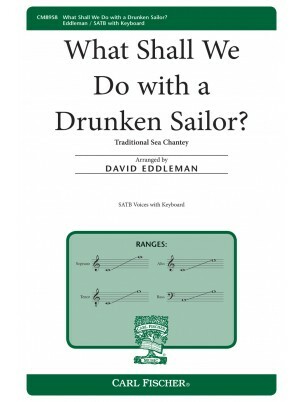 David Eddleman: What Shall We Do With A Drunken Sailor? Every good high school and college choir should perform this outstanding arrangement. From the mumblings of the sailors on board the ship to the stomps of their boots on the deck, the audience will actually see and hear the dilemma of the song being played out. Vigorous rhythms, clever word articulations, and layered vocal parts serve to create a very special concert feature.